AvenueWest Managed Corporate Housing marks its 20th year as a premiere network of locally owned and operated real estate brokerages that offer fully furnished and comprehensively serviced residential properties for corporate rentals. Located in twelve cities, AvenueWest and its network of brokers offers different residential properties that include single family homes, condos, lofts, and townhomes. One of the advantages of renting through AvenueWest is that brokers in the network are able to accommodate a wide range of pets. The reality is that a good number of business travelers that need to be gone for an extended period of time naturally want to bring their pets along. Finding comfortable accommodations that accept pets can prove challenging in some instances. AvenueWest strives to minimize complications associated with accommodating pets in a corporate rental situation. At AvenueWest, we have identified property owners that are not only pet friendly but who have experience in renting to pet owners who bring their companion animals along on business trips. We appreciate that accommodating your pet is easier in a corporate rental when the broker and owner involved in the process already have specific experience with business travelers who bring their pets along. These individuals understand what to expect. There are not any undue delays in educating a broker or owner in what to expect (and what not expect) when it comes to renting to a business traveler with an accompanying pet. On an additional note, these brokers can typically provide a traveler with useful information about resources in a particular community that are relevant to pets. These can include everything from dog friendly establishments to emergency vet centers. A pet owner like yourself has a number of things to bear in mind when traveling with a companion animal. A key consideration is safety. When you are seeking corporate rental accommodations that will include your pet, you necessarily want to be fully satisfied that your pet will be safe in a particular location. Pet safety includes everything from ensuring that there will no dangerous substances at the premises that your pet might access. In addition, you want to make certain that there is no risk that your pet somehow will be let out of the premises when you are away at a meeting or otherwise tending to business. AvenueWest, its brokers, and owners are fully apprised of what needs to be done to ensure pet safety. Again, this stems from the fact that AvenueWest and associated brokers and property owners have backgrounds in renting to people who travel with their pets. The largest number of business travelers that bring a pet along typically do have dogs. With that said, dogs most definitely are not the only type of pet that need accommodation in corporate residential units. Cats are also brought along with business travelers who may be staying at a particular destination for a more extended period of time. On our list of property owners in different cities include those that are willing to accept cats along with their humans. These are property owners that understand the unique circumstances of traveling with a cat and are not surprised by the needs of a renter with a feline. AvenueWest is associated with brokers and property owners who take a reasonable approach to fees beyond the base rental cost. For example, deposits and cleanup fees associated with a pet on the premises during a renter’s stay are kept reasonable. While it is true that something additional naturally is charged in the way of a pet deposit and cleanup fee, these are both kept at a highly reasonable level. Maintaining reasonable pet deposits and cleanups fee is part of a larger commitment to be as accommodating as possible to business travelers accompanied by pets. In addition, and as has been noted, AvenueWest and its associated brokers and property owners understand that in the vast majority of situations, renters are accompanied by well trained and behaved pets. They realize that the typical business traveler is not going to have a pet in tow that has a propensity for damaging property. In addition to having properties available to people traveling with their pets, AvenueWest also ensures that all laws and regulations relating to travelers with service animals are fully satisfied. The team at AvenueWest is highly experienced in finding suitable corporate rental options for business travelers who rely upon service animals. The days when college students would automatically live on campus are now over. More and more colleges these days do not offer student housing, and many students are opting to source their own accommodations and live off-campus alone or with other fellow millennial students. The biggest decision students usually make when leaving home for their studies is whether to live on-campus, if their colleges provide this option, or off-campus. On-campus housing does come with some benefits. Students obviously have easier access to the venues of their classes and school activities, and can walk to class from their rooms. Leases tend to be more flexible and can be cancelled if the student leaves the school. Financial aid may be available to those students who have difficulty paying rent. Campus security and professional housing staff can help students resolve problems and offer an added layer of security. But surely the biggest advantage, to many students, is being able to live with others like them and participate more intimately in community life on campus. On the other hand, living off-campus is more attractive from the standpoint of comfort and privacy. Students can opt to live alone or with friends of their choosing, and they also benefit from having their own private amenities such as kitchens, bathrooms and living rooms. They are not constrained by the rules to which students living on-campus must submit, and have a wider range of lifestyle choices available to them. Serviced apartments are a unique breed of accommodations which can offer a great alternative to students who wish to live off-campus. Serviced apartments are fully-furnished and come with certain services and amenities that are usually associated with hotels, including room service, laundry services and fitness centers. This makes them much more convenient than Airbnb apartments, in which guests are usually expected to clean up after themselves. In addition to these conveniences, they also come with all the advantages of non-serviced apartments, such as full private kitchens and washing machines. These are usually not available in hotels or hostels. Serviced apartments thus offer the perfect blend of the conveniences and facilities offered by both hotels and private apartments. Why are serviced apartments perfect for students? Given the benefits of serviced apartments, they can be an excellent form of accommodation for students. One of the biggest advantages is the convenience of amenities like room service, which frees up students’ time and energy so that they can concentrate on their studies. Free Internet is another benefit that can save students from having to apply, pay for and set up their own connections. As spaces and equipment are not shared in a serviced apartment, students can enjoy the privacy of having their own homes. Serviced apartments offer a much quieter and more conducive environment for study than student housing, and students even have the option of converting part of their living area into a private study room if they wish. Serviced apartments do not require residents to commit to long-term leases, and are thus perfect for students who intend to move out when they are done with their studies. 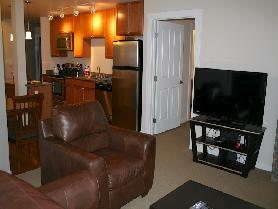 Serviced apartments can enhance a student’s life considerably. As most serviced apartments are centrally located, they enable students to benefit from proximity to the city center, where they can easily access restaurants, cinemas, and other nightlife. The amenities at serviced apartments are designed to make life convenient and fuss-free, enabling students to clear up time that would otherwise be spent doing housework. A major player in the corporate housing space, Bridgestreet, just launched their brand new site which has the potential to offer instant booking – something that has since been obsolete in the corporate housing sector. The corporate housing industry has been avoiding this technology shift for quite some time since it takes away the qualities and values we strive for: outstanding customer service and satisfaction, attention to detail, and quality control. According to Skift Megatrends 2017, corporate travel is shifting with all of the changes in leisure travel, causing business travelers to expect more instant booking tools and intuitive management portals. Hotel Room: An open room with generally a king sized bed or 2 double beds, usually with a desk space, dresser, closet and a separate full bathroom. Ideally for short-term stays of 1-2 nights. Hotel Suite: A larger hotel room usually with a separate bedroom and bathroom, living area with desk, mini fridge, microwave, and coffee maker. Ideally for short-term stays of 1-5 nights. Extended Stay Hotel: An extended stay hotel room has all of the hotel suite but also offers a kitchen and dining area including pots, pans, dishes, silverware, and other very basic kitchen necessities. Typical extended stay rooms are designed for stays of 3-7 days though they can be utilized for longer stays as well. Corporate Housing: A fully furnished apartment with a full-size kitchen, all appliances, and a minimum of 60+ household items. 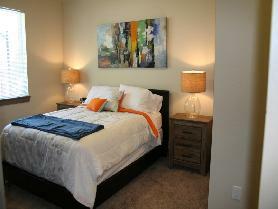 Most apartments also offer on site amenities such as fitness centers, business centers, pools, etc. Offered for 30+ day stays. By Owner: A privately owned property either managed by the property owner or a property manager. The By Owner segment on the lodging spectrum offers a variety of different types of property options from condos to single family residences. Think AirBNB or Home Away – individual property owners don’t necessarily understand the corporate housing industry and might not offer full kitchens, housewares, or amenities like a traditional corporate housing apartment does or a CHBO Complete or Managed Corporate Housing property offers. Depending on where the property is located, there will be different requirements for the minimum length of stay required. CHBO Complete: A privately owned property (condo, loft, town home, house, etc.) either managed directly by the property owner or a property management company listed on CorporateHousingByOwner.com (CHBO) that follows all of the requirements set forth by the Corporate Housing Providers Association (CHPA). Usually offered for 30+ day stays but shorter term stays might be permitted depending on where the property is located. Managed Corporate Housing: A privately owned property (condo, loft, town home, house, etc.) managed by a licensed residential real estate property management brokerage following the minimum standards set forth by the CHPA and rented out fully furnished for 30+ day stays. Ultimately, creating one platform that will allow consumers to choose the type of lodging they want for their specific needs would be the best solution, especially since there are very different types available. However, getting all online travel agencies, corporate housing providers, and private owners on one booking platform will most likely never be a reality. The corporate housing industry is a service based industry, priding itself with superior customer service which is not readily available with instant booking. Today’s consumer still needs to be educated about their lodging choice and how one might be a better fit for their needs than another. This can only be done with person to person interaction. Sure, technology can provide today’s consumers with answers right at their fingertips but at what cost? As Millennials age and start taking over the majority of business travel in the next 5-10 years, how is this going to impact the various industries supporting lodging choice? How can we all work together to provide a seamless booking experience for the new generation? These are all questions that keep us up at night in the corporate housing arena and we as an industry are actively working to continuously improve our standards and offerings not only here in the United States, but Globally as well. Traveling to Denver for business? Or perhaps you are relocating and want to try living in a particular neighborhood prior to settling down. Whatever your reason is for coming to beautiful Denver, let the local AvenueWest Managed Corporate Housing office find the perfect fully furnished rental for your needs. This month, we are featuring a very unique and beautiful all-inclusive property in the heart of downtown Denver, within walking distance to tons of restaurants, coffee shops, boutiques, the Pepsi Center, Denver Performing Arts Complex, the Convention Center, Union Station, Museum of Contemporary Art and so much more! Bike rentals are right around the corner and the Cherry Creek bike path is at the end of the street. Confluence park is 1/4 mile away. Master bedroom has a king bed, sitting room and office, private balcony and a large flat screen TV. Along with the great property features included above, all AvenueWest Denver rentals include high-speed wireless internet, expanded basic cable, domestic long distance, capped utilities (gas/electric), water, trash, linens and towels, housewares, and furnishings all for $5,500/month. There is also a one-time, non-refundable departure cleaning fee of $350. Maid Service can be added for an additional fee. As smart investors look to diversify their real estate and investment portfolios more property owners are turning to monthly corporate housing rentals as the best way to adhere to real estate rental laws, minimize time needed to manage a property and maximizing rental income opportunities. DENVER, Nov. 15th, 2015 – Corporate Housing rentals have been an essential lodging solution for more than half a century and should not be inadvertently lumped into the new trends and restrictions of today’s “shared economy” and CHBO has the data to prove it. For the 7th year CHBO is launching the CHBO Corporate Housing Real Estate Survey to document the trends, standards and needs for this monthly furnished lodging solution. Successful corporate housing property owners and managers have found that investment and management trends reported in the CHBO Corporate Housing Real Estate Report are essential tools for their financial success. Did you know that 2 out of 3 corporate housing landlords say their tenants stayed on average 3 months or longer? CHBO also found that last year 17% of the properties were rented for a year or longer. The survey is broken into 8 main sections: Property Owners – Who, What, Where, Why and When; Outlook and Profitability; Rental Rates; Property Management Trends; Rental Properties; Tenants; Pets and Marketing Trends. Independent property owners and managers of corporate housing rentals are invited to complete the survey online. Data is being collected through December 15, 2015 and findings will be reported on January 15th, 2016. The 2015 CHBO Corporate Housing Real Estate Report is offered FREE to all survey participants. “CHBO Members continue to ask for more facts and figures to make them the most profitable corporate housing providers. The CHBO Team continues to hear from our members about how much this information allows them to make the right choices when it comes to investing in, marketing and managing their corporate housing rentals,” says Kimberly Smith, co-founder and CEO of CHBO. Real estate investing is back and the trends are showing more real estate growth potential. As smart investors look to diversify their real estate and investment portfolios more property owners are turning to monthly corporate housing rentals as the best way to adhere to real estate rental laws, minimize time needed to manage a property and maximizing rental income opportunities. The results of this survey will be used to develop the 2015 CHBO Corporate Housing Real Estate Report, which will provide corporate housing landlords, real estate professionals, real estate investors and property managers needed data, emerging trends and insights about everything from how to better promote rental properties, to how to improve the way they furnish and market their rental properties. Historically, responses were received from property owners across the United States and around the world. 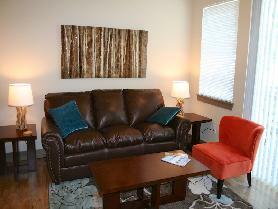 CorporateHousingbyOwner.com is the number one marketplace for furnished corporate housing rentals. CHBO was founded in 2006 out of a need to connect private homeowners and real estate investors offering furnished, short-term rentals with corporate housing seekers such as traveling executives, relocated professionals, traveling nurses, actors, athletes and more. 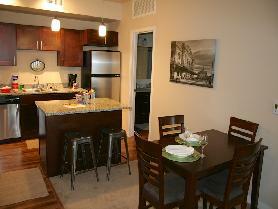 Today CHBO servers the larger Corporate Housing – Extended Stay Lodging market. CHBO also offers individual homeowners and investors tools to manage a corporate housing property themselves as well as help them market their property to a mass audience turning to corporate housing to fulfill their housing needs. Please visit www.CorporateHousingbyOwner.com for more information. Since 2001, Angela Healy worked for AvenueWest Corporate Housing in Denver – helping founders, Kimberly and Eric Smith, manage their financials and run the day-to-day operations. Angela was pivotal in helping AvenueWest grow and find success over the years – including early on in the business when the company took a financial hit in the failing economy. Over the years, Angela helped the Smiths create the AvenueWest Managed Corporate Housing Franchise model and even assisted with the on-boarding of the franchisee team in Colorado Springs. Along the way, Angela learned that Kimberly and Eric’s long-term plans were to eventually franchise the Denver market. Kimberly says that Angela was a natural fit to take over the business given her experience and deep corporate housing knowledge. “Between her strong corporate housing background experience and Tim’s impressive business acumen and entrepreneurial desires, Eric and I knew they were the right team to take over the Denver market,” says Kimberly. In 2010, the Healys officially purchased the AvenueWest Denver franchise, thus beginning their journey as corporate housing entrepreneurs. After taking over AvenueWest Denver, the Healys became iron-focused on their mission: To match those seeking corporate housing in Denver with those offering furnished, short-term rental properties. “We are lucky to live in Denver as we get to cater to a variety of people in need of corporate housing, from business professionals and traveling consultants to relocating employees, traveling healthcare professionals, on-assignment military personnel, traveling theater companies and more,” says Tim. Angela and Tim add that Denver is traditionally a high-demand market for corporate housing, and they don’t see that changing anytime soon. “While we are currently seeing a lot of clients sell their properties because it’s a hot seller’s market, at the same time we are adding new clients who are looking for a competitive advantage when it comes to managing and marketing their unique furnished properties available for rent,” says Angela. One of the ways Angela and Tim say they maintain steady inventory throughout market fluctuations is by offering great customer service, competitive pricing, unique properties, and win-win partnerships with those who own properties in desirable locations. “We manage about 30 properties in The Spire (891 14th St. Denver), an upscale condo community in downtown Denver that offers panoramic views of the city and resort-style amenities. We are able to offer these properties to discerning individuals and groups who want to experience Denver’s culture and vibrant downtown scene while traveling to the Mile High City,” says Tim. While Tim had little corporate housing experience when he took over AvenueWest Denver in 2011, he says he has since undergone a steep learning curve. Above all, Tim says that having AvenueWest as the backdrop of their franchise gives them the name recognition and instant trust in the industry. “Partnering with an award-winning, well-respected name in corporate housing not only brings us high quality referrals, but also helps us solidify relationships with new prospects who have come to know and trust the AvenueWest brand for more than a decade,” says Tim. “With an increased local need for high-quality furnished short-term rentals, AvenueWest Northern Colorado has carved out a niche as a premier provider of full-service corporate and transitional housing in Fort Collins, Loveland, Greeley, Windsor and surrounding communities. The view from one of our exclusive fully furnished corporate housing units. Todd, as COO and the head of business development, brings his vast experience in sales and customer service to AvenueWest and their clients. Todd, having traveled extensively with his previous career with a Fortune 100 company, fully appreciates the value, convenience and amenities of quality corporate housing. All AvenueWest properties are move-in ready and feature a full kitchen, fine housewares and furnishings, linens and towels, and other comforts of home. All utilities, phone, cable and internet are already connected when clients move in and are included in one rental payment. To read the full article, click here. 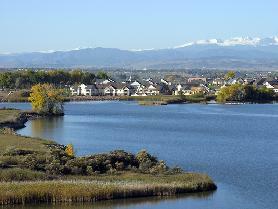 Please visit our website to see all of our beautiful properties located in Fort Collins, Loveland, and Greeley, CO. For more information, contact us directly: 970-797-3099 or via email FortCollins@avenuewest.com.